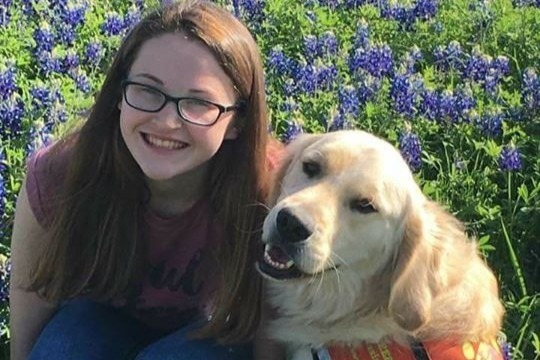 Journey was a diabetic service dog for Hannah Westmoreland who is only 15years old. Journey was shot on Sunday 1-13-19. He was rushed to the ER where they took him into emergancy surgery but unfortunately he didn't survive. Please help us in locating the person who has taken the life of this service dog who SAVES LIVES!!! We are raising money to help with a REWARD to help find the shooter, vet bills and possibly another service dog in the future. My name is Missy and I am Tina's (Hannah's mother) cousin. I wanted to give a update to all of you. Hannah is getting used to her new normal. Hannah stays close to Tina so Tina can keep a close eye on her especially during the night. The out pouring of love, concern for Hannah and her family has been truly overwhelming. There are so many more good people than bad. The Hunt County Game Warden and Sheriff's department has launched a full scale investigation and we are praying they can find the person that done this awful deed. Hannah and Tina have been interviewed by several Dallas news stations, Dallas Morning News, and the Greenville Herald Banner. So if anything this person will see this coverage and think twice about shooting and innocent animal. Thank you everyone. We will be putting this money towards a reward to find the killer, get bills and the rest will go towards another service dog when the time is right. We need to mourn our dear Journey. Thank u all again from the bottom of our hearts.